The dates are counting down and it’s 2 months away from YOKKAO 35 – 36. Matchmaking is reaching the last stages as the fight cards get finalized. 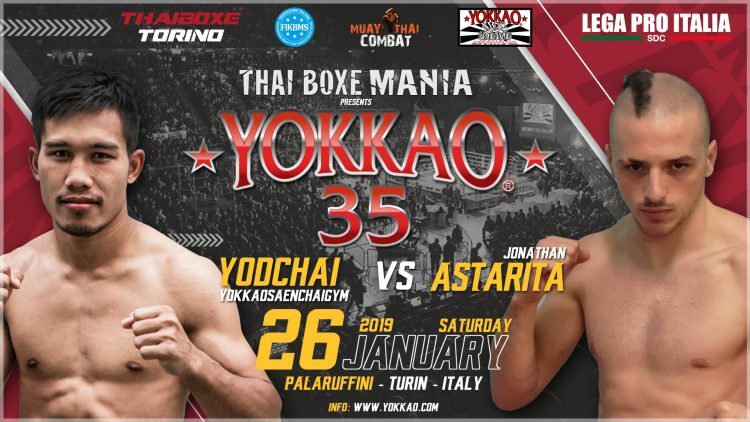 One more exciting bout is now confirmed for YOKKAO 35, featuring Yodchai taking on Jonathan Astarita from Italy. Training out of Vayupak Gym in Aosta Valley, Astarita is a Muay Thai and K1 Italy champion. The 29 year-old is a technical fighter known for his skillful sweeps and distinctive hairstyle. Astarita is also a crowd favorite who will have the home ground fans on his side at YOKKAO 35. It goes without saying that this is no walkover for Yodchai. 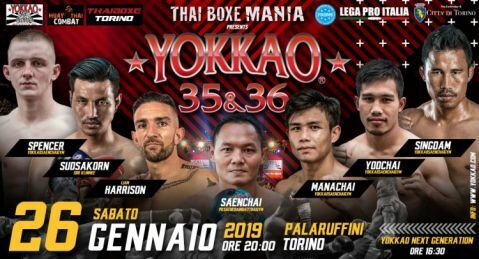 An international list of top fighters from around the world will convene at Turin Italy for YOKKAO 35 – 36. Confirmed bouts for the double event so far feature Saenchai vs Cristian Faustino, Singdam vs Jeremy Payet and Spencer Brown vs Luca Roma. Other confirmed fighters for the show include Manachai and Sudsakorn Sor Klinmee with fight details to be announced soon.